Attentional bias is the inclination to be overly influenced by our persistent thoughts. For example, people who frequently think about the car they drive pay more attention to the vehicles that others drive. This is why we notice how many other people drive the same model of car that we drive when we first buy a new car. The downside of this is that whilst our attention becomes focused on certain information that recurs we may simultaneously ignore the rest. This can mean that we don’t assess all the options or information presented to us and we may accept a message that results in a sub-optimal decision. There is some evidence that it might have an evolutionary basis to improve our chances of survival. Our ancestors probably improved their chances of survival if they focused more on risky and dangerous aspects of their environment and ignored things that were harmless. In extremely frightening situations we often experience “tunnel vision” where we become hyper-aware and acutely focused on what is threatening us. When this occurs you are more able to respond to the threat and less likely to get distracted by something harmless. Attentional bias is related to Confirmation Bias, where we seek out evidence that supports our attitudes and perceptions, but ignore information that is inconsistent with those same opinions. The two biases combined can lead us to ignore information we don’t perceive to be a threat as it doesn’t fit with our model of the world. This may explain why many people still don’t take global warming seriously because they don’t think it will be a threat to their lifestyle and as a consequence don’t notice the evidence building up in support of it. 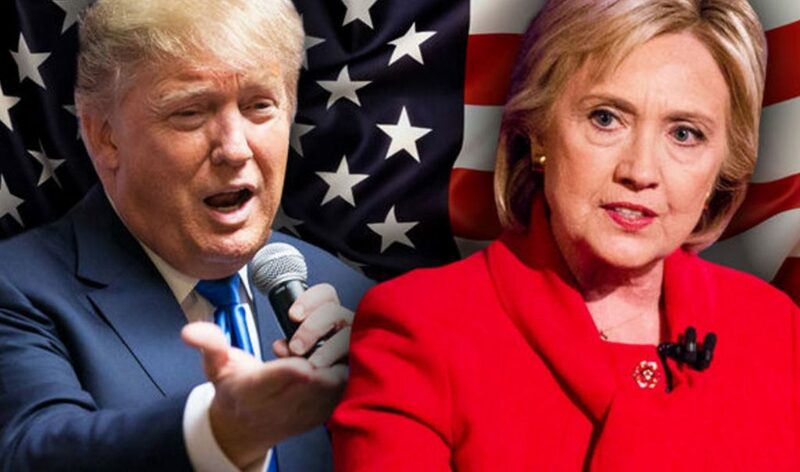 Donald Trump may have benefited from attentional bias in 2016 because he persistently promoted controversial policies, such as “lock her up” due to Hilary Clinton using a private email server. Voters may have believed this because of the frequency of such communications. Repetition in the public domain can result in availability cascades because such messages are picked up and spread by both traditional and social media. Does it affect people differently? The evidence suggests that our emotional condition can affect attentional bias. People who are anxious tend to experience attentional bias sooner than more confident individuals during information processing. This means that you need to get your message across early in the process with anxious people. However, people suffering from depression tend to show attentional bias after information has been presented for a longer period of time. Our memory of an event is also influenced by attention bias. Because we only focus on certain aspects of a situation or decision we ignore other information or options and so our memory is likely to be distorted and incomplete due to the bias. Attentional bias is an important reason why customers will often miss information and their memory of a decision or situation will differ from what we remember. For marketing it suggests that the more frequent someone sees an ad or message, the more likely they are to believe and act upon it. Repetition is an important strategy and explains why consistency of messaging throughout a user journey can improve conversions. 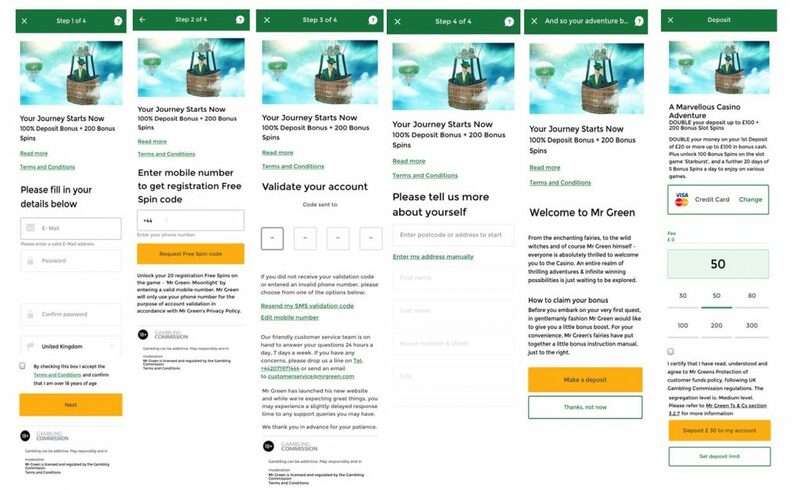 Here is a great example of consistency from MrGreen where identical imagery and messaging is used throughout each step of the registration and deposit user journey. For first time visitors who may be anxious about the credibility of your site it is essential to get your message across early and establish trust. This explains why a dedicated landing page rather than a home page normally converts better because they can be designed for the specific needs of first time visitors. 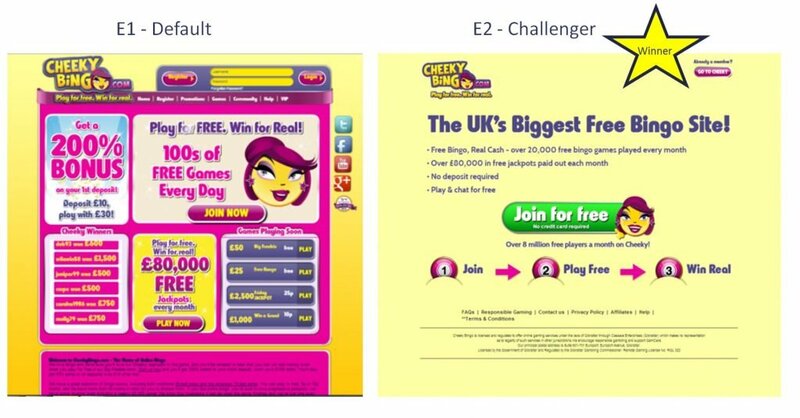 Below is an example of an A/B test we did at Cheekybingo.com. The landing page (E2 – Challenger) increased registration conversion by over a quarter compared to the homepage (E1 – Default). Due to the design of the landing page the proposition messaging was much stronger and there was a single prominent CTA. Other strategies that benefit from attentional bias include locating CTA buttons throughout a landing page, re-targeting prospects that leave your site and publishing blog posts regularly.